May 9, 2012 | W.O.D. Front rack support 5 x 10 sec. Find a challenging weight. Elbows up, Hands open!!! 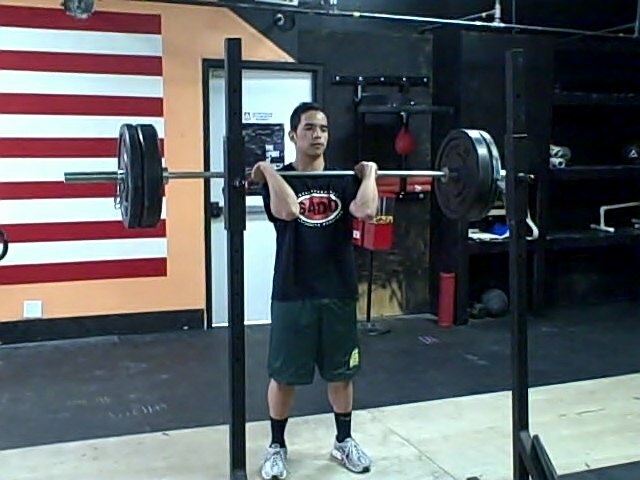 *Keep tight at the top position of the front squat. Hold for 10 sec. Weight could be 120-150 % of your Front Squat.